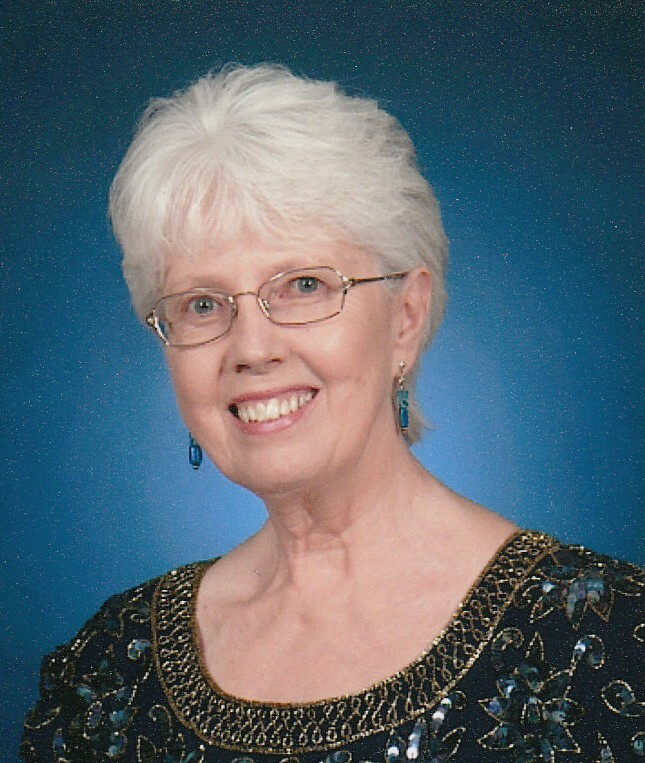 Today, I have the honor of interviewing one of my critique partners, Ellen Parker. I look forward to reading her submission each week. 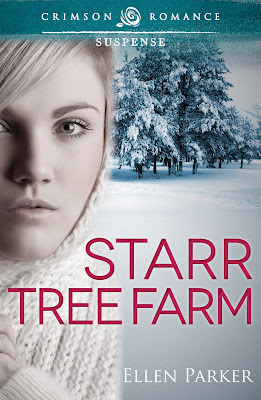 One of those works has just been published: Starr Tree Farm. Jeff Reynolds: Welcome to Hoosier Ink, Ellen. Since this blog focuses on Christian writing, could you share how both your faith and writing journeys began? Ellen Parker: Thank you for the invitation to share some thoughts with your readers. I’ve been a Christian my entire life, even when church attendance and activity varied through the years. My writing simmered in the background until computers made it so much easier to correct spelling. Then, as my children moved out on their own, I devoted more and more time to creating a world filled with characters moving toward a happy ending. JR: Your debut publication has just hit the stands. Could you tell us about it? 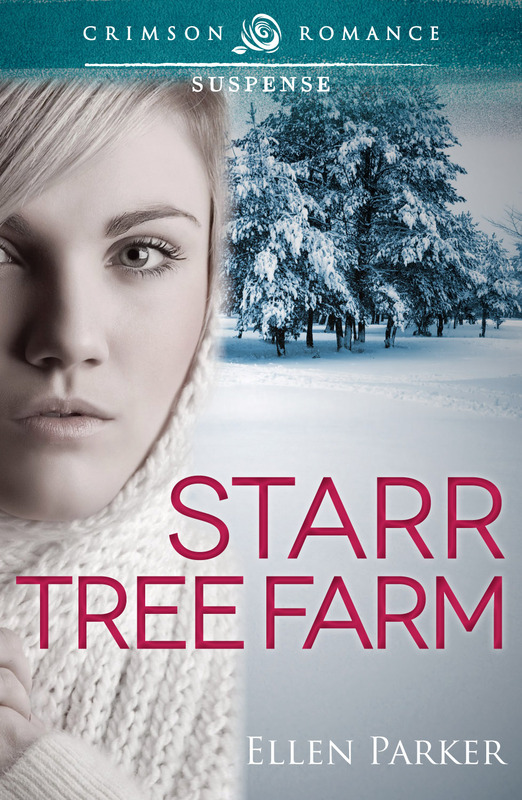 EP: Starr Tree Farm is the story of a young widow. It begins one year after her husband is murdered, and the stress of his unsolved case and an invitation from relatives take her away from St. Louis to the small Wisconsin village of Crystal Springs. Also back in the community after years away is Brad Asher. Laura remembers him as the pesky neighbor boy from childhood visits but he’s grown, matured, and changed in many ways. As Laura and Brad renew their acquaintance, a bit of the dark side of humanity pokes above the surface in the peaceful village – aimed at Laura. JR: You're probably familiar with the advice that good writers should be good readers. Who do you enjoy reading the most? Is there any authors/books that have influenced you which would surprise those who enjoy your writing? EP: I’ve tried to keep my reading on a fairly wide plateau and not limit myself to only one genre. As a result it would be hard to credit only a few writers with influence. Two that come to mind are Joanna Bourne with her fine romance novels set against the French Revolution (TheSpymaster’s Lady, My Lord and Spymaster, The Forbidden Rose, and The Black Hawk), and David Guterson and his excellent use of language in Snow Falling on Cedars. JR: I've read that suspense writing is best done without an outline (Stephen King has that philosphy), but my favorite suspense writers (Randy Singer, Amy Wallace, Heidi Glick) have a different perspective. Are you an outliner, or a blank pager? EP: I work from an outline but keep it flexible. The identity of the villain has been known to change from one draft to the next. JR: You are a former ACFW member. May I ask what led you to join the American Christian Fiction Writers, the benefits/deficits of being a member, and why you decided it was time to leave? EP: In 2009 I attended the Green Lake Christian Writers Conference and our instructor for the fiction workshop was Patti Lacy. I first learned of the ACFW from her. I enjoyed my membership and view it as another piece in my writer’s education. I left because the characters I write may be Christians, but their faith arc is not a major portion of the story I want to tell. I also feel I can reach a larger audience via ABA. JR: I don't know if you want this to be public information, but we happen to be critique partners. (Hope the readers don't hold that against you!) Besides our group, are you a member of a non-Christian critique group as well? How has being in your critique group(s) assisted in your writing? EP: My local Romance Writers of American (RWA) chapter maintains a critique group and I participate as much as other activities allow. Critique groups have helped make my writing better – from basics like POV and stripping repetitive words to strengthening the motivation of my characters. JR: From the perspective of a Christian writing outside of the CBA market, what do you see as the future of Christian fiction? In other words, if a young Christian writer asked for your advice, what would you suggest? EP: I think Christian fiction has a strong and important place in the publishing world. I’d suggest that the writers and publishers try to keep their focus on the largest group possible. For example: If your target audience is a Christian woman of middle age, then produce stories that she would be apt to share with her mother, her daughter, or her neighbor even if their faith is not as public. JR: What's next on the horizon, both writing-wise and other-wise? EP: My work-in-progress is another romantic suspense set in Crystal Springs. I intend to remain active in my local RWA chapter. I enjoy travelling, and hope to soon complete the goal of having visited all fifty states. JR: Thank you for your time. If someone wants to keep up with your writing, where should they go? EP: Readers can get glimpses into my life and contact me on my blog: www.ellenparkerwrites.wordpress.com or on Facebook: www.facebook.com/ellenparkerwrites. I enjoy several types of stories but if I had to choose one genre, it would be easy -- cozy mystery. I've been Murder On The Orient Express. 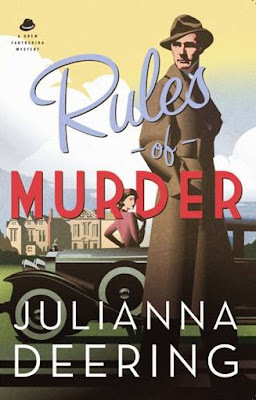 The one I've read most recently is Rules For Murder, the first Drew Farthering mystery by DeAnna Dodson, writing as Julianna Deering. Jeff Reynolds: Welcome to the blog. What got you interested in writing in general and in mysteries specifically? 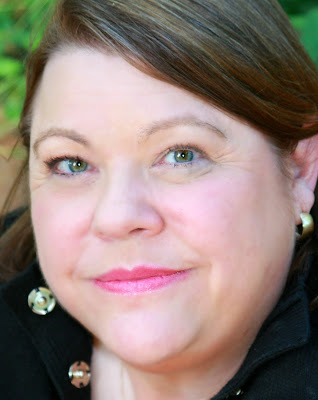 DeAnna Dodson: I have always been a reader, though I never thought I’d ever be a writer. But when I was in school, I started writing dramatic scenes just to amuse myself. The more boring the class, the more I wrote. Those scenes eventually became my first book, In Honor Bound. As far as mystery is concerned, I’ve been a fan of Agatha Christie and Dorothy L. Sayers for a long time. I think Masterpiece Mystery actually got me started, and then I wanted to read the real books behind the shows. I had so much fun not only with the actual mysteries, but with the sets and the costumes and the period dialogue, I just had to try my hand at writing that type of story. JR: Tell us about your latest novel. Is this the beginning of a series? DD: Yes, Rules of Murder is the first of what I hope will be a long series of mystery novels. Death by the Book is due out in March, and Murder at the Mikado should be out next summer. 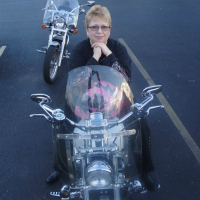 I also write under my real name, DeAnna Julie Dodson, and have published seven books so far. Three medieval romances (In Honor Bound, By Love Redeemed and To Grace Surrendered) and four contemporary mysteries for Annie’s Attic (Letters in the Attic, The Key in the Attic, The Diary in the Attic and The Legacy in the Attic). But let’s go back to Rules of Murder. It is basically a throwback to Christie and other mystery writers of the 1920s and ’30 with a little of The Thin Man’s Nick and Nora Charles thrown in. Drew Farthering is a rich young Englishman with little more to do than amuse himself with his society friends. He meets American debutante Madeline Parker at his mother’s weekend party and they come across a body. Soon there is a second death, and they decide to try to figure out whodunit based on what they’ve learned from their favorite murder mysteries. It’s a lot of fun. JR: You have chosen to write the current series under a pen-name. What led you to do that? What are the pros and cons of using a fictitious name? DD: Having a pen name was the suggestion of my publisher, and I think it was a good one. The Drew Farthering Mysteries are different from my Annie’s Attic Mysteries and my medieval romances. They want readers to know this is something new to head up their line of historical mysteries. JR: Your story is set in England of the 1930's. I'm sure that setting has a lot of similarities to Dallas in the 2010's, but if I'm wrong, how did you do your research? DD: No, I’m afraid contemporary suburban North Texas and 1930s England don’t have much in common, but I much prefer writing and reading about something different from my usual life. Most of my research came from reading the classic mysteries of the 1930s (which were contemporary at the time) and watching movies that were made in the 1930s. I’m glad I’m writing during an era where there was film. I realize that then as now, movies are a somewhat distorted view of real life, but they’re a wonderful glimpse into fashions and customs and technology and just life in general at that time. JR: I read a book that suggests mystery writers tend to be outliners and suspense writers opt for the blank page approach. However, my favorite suspense authors go more for an outline, and I was half way through writing my mystery before I realized who did it. What is your approach in developing your mystery? DD: I start with the end. I know who did it and why and then build the rest of the story to support that. Agatha Christie often simply made the murderer be the least likely person at the end, but that’s not me. I need to know. JR: One of your hobbies is watching NHL, which I suspect is normal for female Dallas residents (better than the Cowboys, right?) How does this and your other hobbies (like quilting) fit with your writing? Is it inspiration, or more of a way to take a break? DD: No, hockey is still a niche sport here in Texas, though it is becoming more popular with the increased availability of ice rinks and public school hockey programs, so being a hockey fan, especially a female one, is rather unusual. But I grew up with the Cowboys, so I love them too and have high hopes for the, year in and year out. Hockey and football are definitely just a pastime for me though. Everyone needs a break from work, no matter what the job is. But sewing, whether it’s quilting or cross stitch or something else, feeds my creative brain. It’s a different kind of creativity though. Writing is purely mental. Sewing is mental and physical and tactile. There’s something about the feel and look of fabrics and threads and buttons and everything else that feeds me creatively. JR: I like the faith angle in Rules of Murder. How did that develop? And are you involved in ministry other than writing as well? DD: I write from a Christian worldview because I don’t have any other. I have to write truth, and that is my truth. I’m not currently in ministry, though I sang with my church’s music group for many years. I miss it. JR: Besides the sequel for Rules of Murder, what's on your writing agenda? DD: I’m currently working on the edits for Murder at the Mikado, and that should keep me busy for a while. After that, I will probably work on a fantasy story I’ve been wanting to do for a long time, and I may even do more historical romance because I miss that, too. But if readers like Drew and Madeline, then I’ll probably start working on Book Four. They may have to go to America and listen to some of the Big Bands. JR: Thank you for your time. Could you share your website and other ways to get in touch with you? DD: Thank you so much for letting me visit. I’ve enjoyed our chat.. Readers can find me at www.juliannadeering.com or https://www.facebook.com/AuthorJuliannaDeering or www.deannajuliedodson.com or @deannajuldodson on Twitter. You can also find out more about me and the book on Bethany House’s site here: http://bakerpublishinggroup.com/books/rules-of-murder/343331. They have an author interview, an excerpt from the book and discussion questions. Alice Randall wrote a novel called The Wind Done Gone, which used the characters, plot, and major scenes from Margaret Mitchell’s best-selling book, Gone With the Wind. Although the two books are substantially similar for copyright purposes, the second book turns the first on its head. The Wind Done Gone is told from the point of view of a black slave rather than a white plantation owner’s daughter. The individuals with strength of character in Mitchell’s work are weak individuals in Randall’s work, and vice versa. Furthermore, the Southern customs and values that were treated sympathetically in Gone With the Wind are shown as corrupt in The Wind Done Gone. Suntrust Bank, as trustee for the Mitchell Trust, sued Randall and her publisher for copyright infringement. Randall claimed that The Wind Done Gone was not substantially similar to Gone With the Wind (an argument she lost) or, in the alternative, that it parodied the earlier work and was a fair use (an argument she won). The 11th Circuit found that The Wind Done Gone was a parody of Gone With the Wind because the second book challenged Gone With the Wind’s idealized portrait of the South during and immediately following the Civil War. The nature of the allegedly infringing use is only one factor the courts consider. Although most parodies--or at least most recognizable parodies--are fair uses, that is not an automatic result. But it was the result in this case. After analyzing each of the four factors, the 11th Circuit found that The Wind Done Gone did not violate the copyright laws. The 11th Circuit’s analysis came early in the case and could theoretically have changed after a trial. Theoretically, but not realistically. And since Suntrust Bank dropped the lawsuit, we’ll never know for sure. When is a parody not a parody? Tune in next month for the Case of the Purloined Hat. Labels: copyright, fair use, Kathryn Page Camp, legal issues, parody, Suntrust Bank v. Houghton Mifflin Co.
Two weeks ago, I emerged from my writer’s cave after finishing a book. Friends and family urged me to celebrate the accomplishment. Those who know me best, however, stayed out of my way because I resembled a grizzly bear that awakened from a long hibernation—groggy, growly, and ready to snap at anything that moves. Not only could my appearance, as well as demeanor, have terrorized the neighborhood, but my writing ability plunged to an all-time low. Now, having recovered somewhat, I join my husband in offering a few survival tips for those near and dear, including critique partners and writing friends, in how to tame a post-deadline writing bear. Give the bear some honey. In the face of bared fangs, this presents a challenge even tougher than letting her/him sleep. But trust us, it works. When insecurity looms 3.5 seconds after the author hits send, pour on reassurance: “You’re a good writer. You worked hard on this book.” Even better: “We prayed about this book. God will use it.” Accompanied by bear hugs (also chocolate and other sweet things), this approach can’t go wrong. So far, these tips have helped tame this writing bear recover. Any hints on how to handle the animal at your house? Do you remember the first time you felt afraid? I mean really afraid? I do. Even though I was barely over a year old, I can recall my entire house shaking—photos on the wall rattling and my crib moving across the floor—and the sheer panic I experienced. When I heard the ear-piercing, loud whistle from the nearby railroad tracks, I just knew a big old scary monster was coming to get me. But instead of cowering in my crib and screaming to get out, I took action. What did I do? Well, I somehow managed to propel myself over the high bars of my crib onto the hardwood floor and then ran into my parents’ room with my favorite blankie clutched in my hand. My dad once told me this went on for months. At first he worried I’d seriously damage my noggin (that’s still up for debate), but he hated to “cage me in.” He told me I never cried but just climbed in and curled up beside him. You see, it was there I found my safe place, my comfort and protection. As I’ve gotten older, like many people, I’ve become more afraid of heights. Not that I was ever fond of them. When I visit a very tall building and step out on the observation deck, I usually hesitate to go to the outside railing or wall. The thought of that glass walkway above the Grand Canyon scares the daylights of me. Although fascinated by the beautiful view from atop something so high up in the air (and the Grand Canyon is one of the most amazing natural formations I’ve ever seen), it makes me realize how small I am when I look down from such a dizzying height. Question to ponder: is my true fear one of heights or the actual fear of falling? Flying in an airplane and is one of my favorite things in life—that feeling of power and speed as the magnificent, manmade bird lifts off the ground and soars into the air. In the case of an airplane, I have something surrounding me in a cocoon of steel protection. 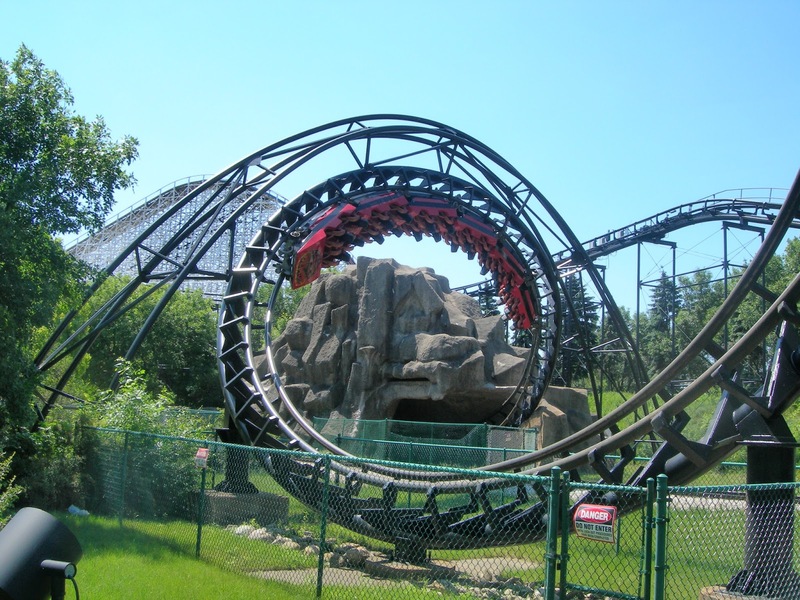 On the flip side, roller coasters absolutely scare me to death. I’ve always avoided them until I decided to try Space Mountain at Disney World many years ago. To this day, I have no idea what possessed me. Disney represents safety and security, right? Mickey and Minnie wouldn’t steer me wrong. I actually loved it (but still won’t ever go on another roller coaster), but I think it’s because Space Mountain is completely dark. You experience the speed and the ups and downs yet you can’t see what lies beyond the rails. Again, a question to ponder: is it (again) the fear of falling or perhaps the fear of what’s out there beyond my comfort zone? 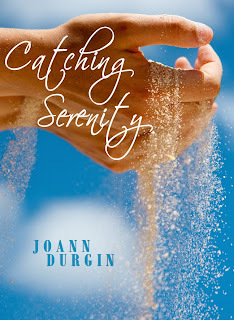 Writing my latest novel, Catching Serenity, took me through a gamut of emotions—a veritable roller coaster of ups, downs and all-arounds. As an author, don’t you love it when writing characters and their stories stretch you, test and challenge you? As much as any character I’ve ever written, Serenity McClaren has faced a number of issues in her life, including profound loss and rejection. So many times in penning her story, I paused and wondered how I would react given identical circumstances. Honestly? A few times, I couldn’t presume to know how I’d personally react. But it made me think, and as much as anything else, I want my readers to think while still being entertained and gleaning spiritual truths when they read one of my books. As much as the issues we face, it’s our response to events and people that matters and shapes our life. Serenity has been through so much yet she’s much stronger than she realizes. She’s been deeply hurt by circumstances in her life that might cause many people to turn away from God. Before these things happened, she didn’t know the Lord. What’s interesting is that she finds Him in the midst of working through her pain. Like me curling up beside my dad, Serenity finds her security and comfort in a new relationship with Jesus. She ran away from home because she couldn’t stand the sadness, the loneliness and the pain. But as the story opens, she’s come back home to stare her fears in the face. Bolstered by her new faith, she recognizes the only way she’ll be able to truly live again with purpose and meaning is to conquer those fears. Have you ever had a secret you were dying to tell someone but couldn’t for whatever reason? Psychologist Jackson Ross is falling in love with Serenity. He also recognizes that until she finds answers to what happened that sent her running away from home, she won’t be free to fully love him. Then he unlocks the key to her past and discovers the shocking truth. Within Jackson’s grasp is the ability to set her free from her past. However, sworn and bound by ethics and professional standards, he can’t tell her and it’s tearing him up inside. Jackson’s greatest fear? He’ll lose Serenity’s friendship and love no matter what he does. A believer in Christ for a number of years, Jackson turns to the One he knows can shoulder his burden and give him the desires of his heart. Ultimately, I believe it’s all about trust. The theme verse in Catching Serenity is Psalm 18:2 which says: The Lord is my rock and my fortress and my deliverer, My God, my rock, in whom I take refuge; My shield and the horn of my salvation, my stronghold. Have you ever had a time in your life when you’ve had to stare down fears or forces you felt were working against you? How did you react and what was the outcome? I’d encourage you to ponder that today with the knowledge there’s no greater comfort or protection than that which comes from the One who laid down His very life for you and for me. Blessings, friends (and thanks for allowing me a little shameless plug for my next book). I’m a first-timer to the ACFW conference this September. With less than a month to go, my mental state wildly fluctuates between excitement and anxiety, peace and panic. Life is a flurry of one-sheets, synopses, business cards, and clothing choices. I will be pitching, but my overarching goal is simply to get to know others interested in writing and find my place in the community. Seeking the peace that surpasses all understanding, I made a list of ten reasons I’m looking forward to my first conference. Learning about writing from the greats. I hope I can burble out a few intelligent words when I meet Susan Meissner. The genre dinner on Friday. Every week I watch my children dress up as princesses, knights, dragons, horses, pioneers, and turtles. Now, it’s my turn. Well, I won’t be a dragon or horse or turtle. But if I get the time to sew my pinafore, I hope to be a nurse from the 1950s. The prayer room. An oasis of calm where I can meet with the Giver of words, the Word Himself. The choir. I attend a small church and although we put on a terrific cantata for holidays, we don’t have a choir per se. I’m sure it will be worship music at its finest. Opportunity to say thank you to people who put great time and effort in producing wonderful books and a wonderful conference. What do you look forward to at conference? Souvenir, originating from Middle French, means "to remember." And that is exactly what you want at your journey's end. No key chain, t-shirt or photo compares to your travel journal. I’m indebted to Dave Fox, author of Globejotting, who set me free not only to enjoy a recent trip but also to bring back something far better than anything I could buy or even snap: an interesting set of reflections that captured the thrill, the confusion, the fear, and the discovery inherent in a new venture. But how do you write and also live in the moment? Journaling outside the box, as Mr. Fox calls it. Here are some ways. At the end of the day, list three or four things—events, themes, or people--you consider journal-worthy. Can they be treated in five minutes or less? If yes, capture them now. If one will require more time, jot some notes so that later, you can give the entry its due. If it’s not worth the time, cross it off the list. Mr. Fox also offers some quicker journaling methods. The verbal snapshot invites you to find a place to sit and observe—a café, a mountain, a lobby—and write what you see, hear, smell, taste, touch. Captioning lets you draw or paste physical objects—a ticket, a brochure, or a photo—into your journal and write a line or three below it. Postcard a day invites you to purchase a postcard each day, write what you will on it, and post it home. When you return home you’ll receive an invaluable collection of memories. And if even these methods are overwhelming, you can always give yourself space for five a day: the first five sentences that come to mind. Likely it open a door to more. If you're a writer, you already know there are all kinds of writing groups for you to join. Mary Allen wrote in her August 7 blog here about a huge group and its September conference, the ACFW (American Christian Fiction Writers, with a membership of more than 2600 this year). I've been a member of many writing groups of varying sizes for for decades. In addition to membership in large groups like ACFW, I also favor being part of a small writing group that meets regularly. Writers in small groups inspire each other to reach achievable individual goals. Reading your writing aloud to others helps you improve it. Ideas come to you during small group sessions that might not come otherwise. Talking about writing motivates everyone in the group to write more and better. Interest from caring others often helps you overcome your writing weaknesses. Nothing great is achieved in isolation: even Jesus had his own special small group. God's Word says: Where two or three are gathered together in My name, I am there. Growth in your own writing sometimes comes by learning from the writing of others. Responding to a small group pre-publication is great practice for post-publication. Okay, PLEZ help me complete this acrostic, and/or feel free to add to the above. Ultimately (or unfortunately :-), readers let me down with no completion suggestions! Please see post script below. See post script below. BTW, alternative suggestions are still welcome! Post Script: While I've shared here many of the positives of small writing groups, I've also personally experienced some of the negatives that form Jerry Jenkins' opinion on these groups. Maybe I'll blog about the negatives in the future. But hey, you can always walk away from a group with more negatives than positives, and I've done so! Millie Nelson Samuelson's four books are available as inexpensive Kindle e-books from Amazon.com. The days are ticking down to ACFW conference. This year it’s here in our own backyard. While I’m not saying every Christian Hoosier writer needs to go, it’s true that for some, every time you think you should go, doubt counters with a stream of delaying questions. Is there really enough money? I don’t have anything to pitch so what’s the point? Is this manuscript really ready? Should I wait until next year? I've been to conferences, what more could I possibly learn? What if I try to network and no one talks to me? If I go and a publisher wants my book, how could I possibly add one more thing to my overly-full life? I can state from experience that if God wants you to go, then he will take care of all these other questions. He will provide and he also will form and mold the manuscript as you devote your time to it. God’ll put you in the right classes and seat you next to the right people. You only need grasp the opportunities he grants, work the tasks he gives, and keep saying “yes” to him and “no” to your emotional excuses of doubt. Doubt is a giant to overcome in life. If you let it, doubt can cause you to move into unbelief. Doubt can also be the impetus to lean more heavily on God and trust more deeply. This spring I told God that if he wanted me to go to conference, he’d have to arrange it because I simply didn't see any way it could happen. Then I watched and waited. First he graciously provided lodging. I took that as the confirmation I was looking for and stayed alert even as I worked on my manuscript amid all the crises of life. Next, he brought unexpected jobs my way that met the conference fees. Now, I’m waiting for the transportation to finalize. The doubts about what I’m to do are gone. God is on my side. Of course, I have to keep listening and obeying, because the reasons I imagine God wants me there, may not actually be his reasons. Like you, I’m called to trust and obey – no other way. In the end, if you’re considering conference, there is only one question to ask, “God, do you want me to go?” If he says go, remember, it's impossible to carry the football into the end zone when stopping to study the bruises on the knees. 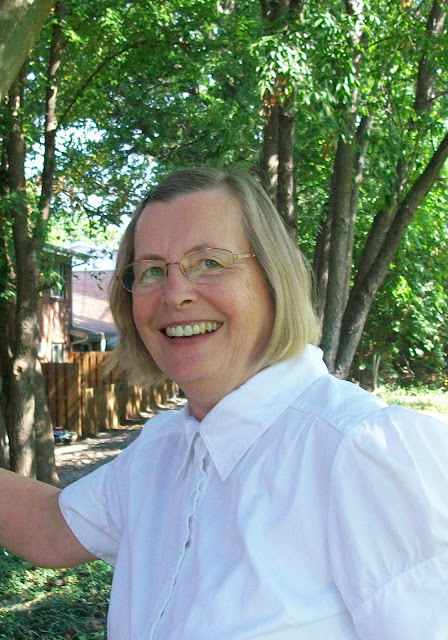 Mary Allen has authored two books of poetry: "Journey to Christmas" and "Ten Days to an Empty Tomb" and is about to release another. 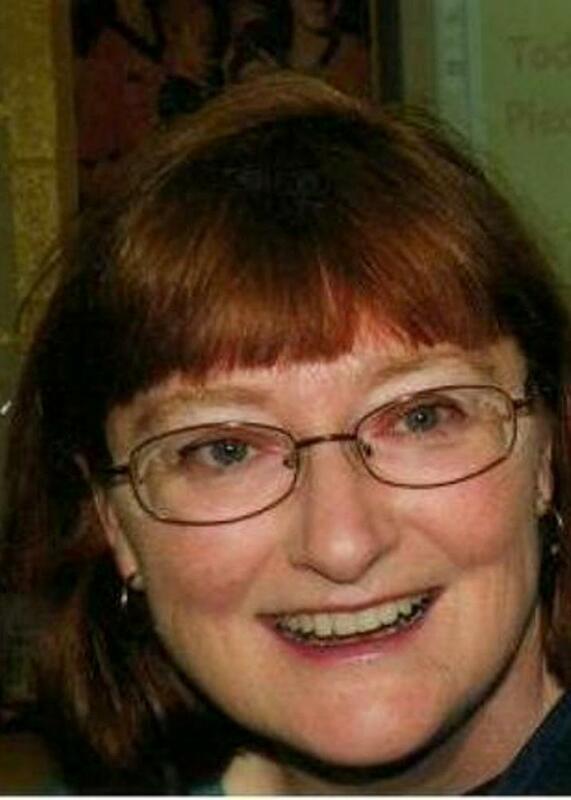 She is 2013 Poetry Chair for La Porte Arts in the Park and was the 2010 La Porte County Poet Laureate. She was commissioned to write a poem, which is on a plaque on a kiosk for the Lincoln Highway Association. Poetry has been one way God has continued to fund her progress toward publication in fiction. On Thursday, my first full-length novel is being officially released to the world. Sometimes, it doesn't seem real to me. Other times, I can't shut up about it and my loved ones are getting rather tired of my incessant snoopy dancing. I remember my very first ACFW meeting. I'd heard about ACFW from someone in Oregon. I did an online search and discovered how to join, and somehow found that first meeting at Carpenter's Son Book Store in Lafayette. Lafayettte is almost 100 miles from my house. I was bound and determined to find that meeting! It was there that I met Colleen Coble and I admit it, I gushed. I was in such awe of her. I still am. I also met Cara Putman, Diann Hunt, Denise Hunter and Brandt Dodson. I probably met other published authors there, but those are the ones that had me the most star struck. A few encouraging words from Colleen Coble gave me the courage to imagine that I could one day be published. And so, glowing with inspiration from rubbing shoulders with such greatness, I went home to work on my novel. The following year I scraped my pennies together and went to conference. Armed with my novel, I was met with great disappointment. Every publisher I talked to was uninterested. But I learned a ton at the conference, took home the CDs and studied hard. I put the novel in a drawer and got to work on other projects. A year later, I took the novel out of the drawer, slashed the first three chapters and made them into one. When one of my crit partners became an agent and invited me to become a client, I was in awe of how God orders our steps. And now, on Thursday, I'll get to say I'm a published novelist. I had much to learn when I went to that first ACFW meeting. Thankfully, God sent me a critique group that was a perfect fit. And from there, He took my book into publication. Not because I'm a great author, no way. But because there is a message of love and acceptance that others needs to hear. Because our dreams aren't about us. They're about the people who need to read what we have to say. How grateful I am to be used as one of His storytellers! This week to celebrate the launch of my book, I'm having a contest! Please put your name in the hat! 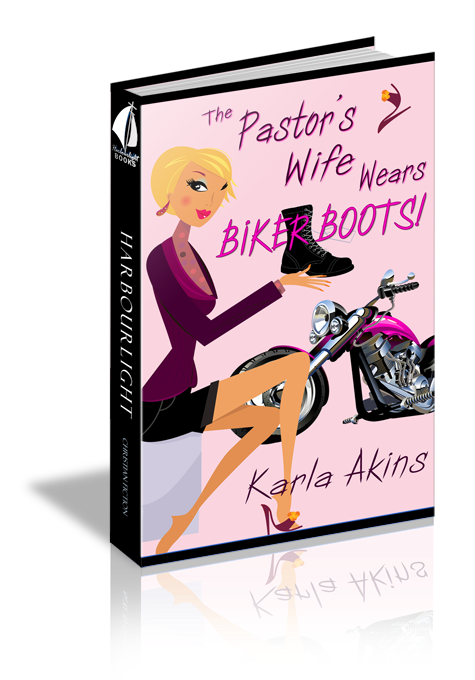 Karla is represented by Linda Glaz of Hartline Literary Agency. Do You Pray for Leaders in Christian Publishing? The business of Christian publishing is a business. At the same time, it is a ministry that seeks to provide answers to questions, to provide role models for leaders, and simply to provide wholesome entertainment while steering thoughts into God-glorifying directions. I have made similar statements myself. Then, one day, I realized that I am quick to pray for my pastor, for my church, for missionary friends, and for missionary projects—but had not been praying for the editors and agents making the primary decisions concerning manuscripts to recommend for publication. “Well, I do sometimes pray for my own agent or editor,” some authors might respond. Encouraging though that might be, praying only for those in the business who stand to increase our financial success might have some self-serving roots that even the author doesn’t realize. Today, let me make a suggestion for my fellow Christian authors, and this suggestion has nothing to do with improving plots, POVs, or character development. Let’s pray for the decision-makers in Christian publishing. They, too, are people. They face temptations. They are often overwhelmed by the work load. They can become weary in well-doing. And—yup—as children of God in influential positions, they will often be in the crosshairs of Satan’s attacks. So, let’s pray for them regularly, even for some with whom you never expect to collaborate. 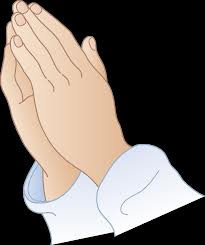 No, you don’t know all of them, but if you’ve attended any conferences, you have met some who could use prayer from an anonymous but sincere believer. Let’s lift them up, without expecting anything in return.